Lack of a caretaker is a serious problem for older people who have chronic conditions and limitations on their ability to care for themselves and their homes. Their problems are often compounded by increased medical costs due to poor health and the need for more supportive services. As we known most people live longer and healthier lives as compared to the past generations. Each year advancements in science and technology, better health care combining western medicine with holistic healing, greater awareness of how to care for ourselves physically and emotionally, are all part of the process that increases the life expectancy of humans. Sometimes senior citizens are able to live normal lives and care for themselves, but as most people age, they need care takers at some point. Unfortunately, those who are most vulnerable are also most likely to live alone and to have limited incomes. Eighty percent of those living alone are women and nearly half of people aged 85 or older live alone. Older women, the very old, and minority elderly, have, on average, the lowest incomes among the older population which severely limits their ability to purchase the health care, goods, services, and housing options which could help them to remain independent. There are agencies that supply aid to these people. Life is often about being taken care of in childhood, or being a caretaker for others. The lessons are sometimes about nurturing, love and compassion. Be sure the senior you are helping gets the best care available and understands their changing needs. Taking on the responsibility to care for the sick and elderly is a large commitment time wise, financially and emotionally. You are assuming the responsibility of care for another person, one who likely cannot do much on her own. Make sure that you take the time to plan for the care, and choose the necessary help, medical care and type of care that you'll be giving. With the right support and attitude about caring for the sick and elderly, you can have a fulfilling experience. Taking care of the elderly is not easy. Emotional issues, buried for decades come to the fore and are tested. Money, inheritance, is often a generating factor in the relationship. Many people force themselves to be care takers, relieved when the experience is over, but knowing it is why they are here, or, that there is just no one else to do it. Care taking the elderly is difficult and depressing much of the time. Watching someone die is not easy, especially if you love them. 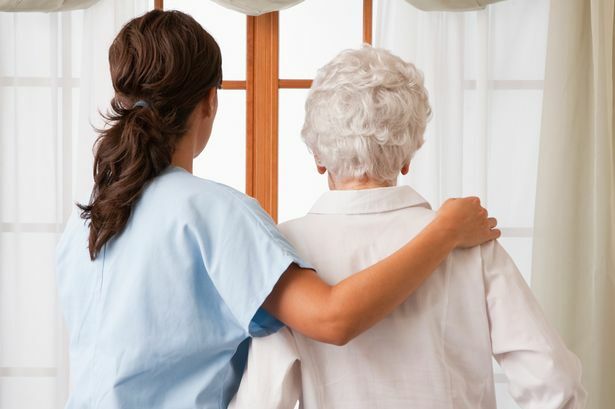 Sometimes care taking a senior means living in their home, which is paid for, combined with the benefits, allow the care taker to remove themselves from the pressure and responsibilities of the work place. When the person crosses over, and the money is gone, or given away to the government, all sorts of new issues must be dealt with by the care taker, finances, or feeling others have taken money that should have been theirs after years of care taking. If you are the family, talk to your siblings and parents about what should be done, and who can help. Taking on all of the care for the sick and elderly is a big responsibility, and you may be able to take shifts with other family members. 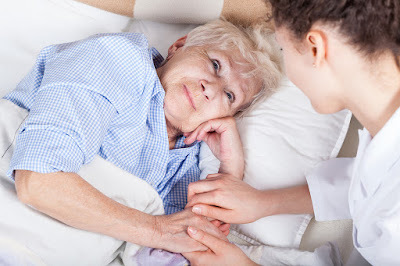 If you are caring for the sick and elderly person in his own home, you may need to remove some of his furniture or move his bedroom to the main floor for ease and comfort. Make sure that he is still surrounded by his favorite things, and that you've done what you can to make the house safer and more comfortable. Do what you can to make that possible! Care taking an aging parent, while trying to handle your other responsibilities is often as difficult as the parent who raises the child alone and struggles to provide proper care and attention. Life moves in these cycles, through time.